When using this device, things appear much clearer and closer than when using others. Waterproof . You can use it in any weather because it has a waterproof body. The TecTecTec! VPRODLX has a longer measurement range and waterproof body. The latest technology makes it more accurate and flexible than any other measuring device. It perfectly measures distances quickly, letting you improve your game like a pro. 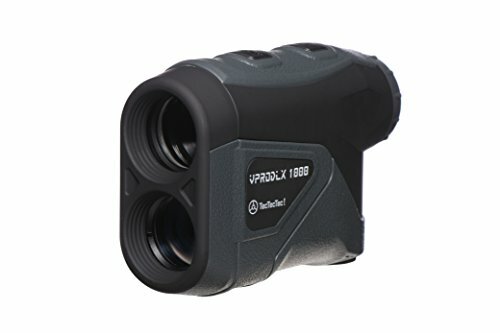 Our laser rangefinder has diopter adjustment functionality to provide a clear view. Whether you’re near or farsighted, you’ll be able to see the object you’re measuring clearly and find its distance using our fast-measuring technology. 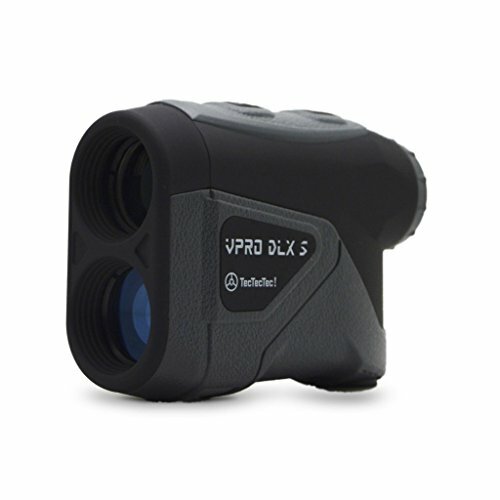 The VPRODLX has three different scanning modes that are suitable for every situation. Its advanced Pinsensor lets you accurately measure overlapping targets and is perfect for measuring the distance to pin location and wooded areas! Its measurement locking function will give you even greater confidence! 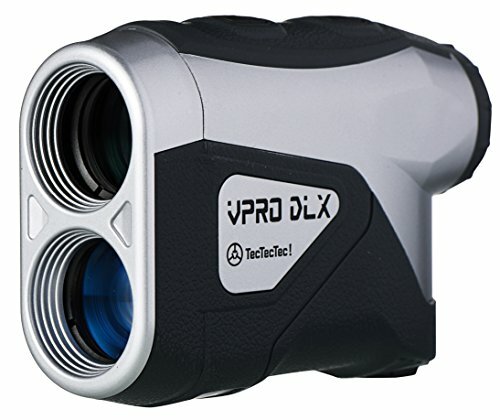 The TecTecTec VPRO DLX rangefinder is a simple yet effective rangefinder with quick speed. There are three different scanning modes that are easy to switch between with a simple press of the mode button. Yes, there are minimal bells and whistles, but this makes the VPRO DLX easy to use and good at the most important basics. If you’re looking for a strong, simple rangefinder on a budget, then the TecTecTec VPRO DLX should be right at the top of your list. Shooting accurate yardages quickly while putting a few more bucks in my pocket is all I can ask for in a rangefinder. Players have an issue when looping since they have to keep on switching to the Flag Seeker mode. Although it is cheaper than some brands, some player may still find it expensive since you can find other rangefinders at half its price. You may have trouble locking on the target if you do not have steady hands. If you’re looking for a strong, simple rangefinder on a budget, then the TecTecTec VPRO DLX should be right at the top of your list.